You may have become aware recently of murmurs in the media over potential changes to the depreciation regime. This has come as a result of a case that is currently being reviewed, between an investor and IRD. Valuit is assisting the investor’s accountant inthis case and we are working to get the issues resolved. Yes, depreciation rules for Residential Property Investors will be changing. Well Tuesday 23rd of May 2006 is a day I will remember for a while. Why? I fielded endless calls and enquiries after an email release from the Institute of Charted Accountants (ICANZ) alerted and subsequently confused people of possible changes to depreciation. Yes I think most of them then called me. I was also confused after reading the email as it was a little unclear over the level of changes. The general understanding from the email has been that all items listed under “building fit-out” would be reduced to the building depreciation rate of 3%. This was not my understanding after communicating with ICANZ and IRD in recent weeks so I spent the day following up on this as well as taking enquiries. Land as a non-depreciable asset, how big an influence does it have? 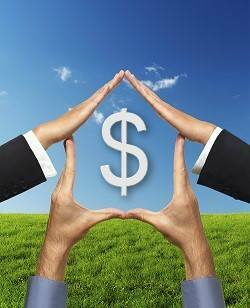 There are two ways in which the Land component of a property affects your depreciation. Is the value of my property in Land or Improvements? Does IRD have the Answer yet? It is now close to a year since IRD made a media announcement around changes to the depreciation regime, this was to be followed by an interpretation statement which has now been done. So does it give us an answer? The “Interpretation Statement was released on Friday and although we now have some direction, it is not yet set in concrete and will not be for some time. This really doesn’t help you when it comes to filing a return for a client with property. So what are the changes likely to be? Submissions to IRD for comment are open until 31 March 2007 so please make sure you have your say. In Feb 2007 IRD released the IS0064 discussion paper on depreciation. Since then IRD seem to have stalled. In my discussions with them I had been advised to expect a decision in June 2008 and there were rumblings that someone had mounted a legal challenge. It is now November and no changes have been confirmed so I thought it time to give you an update on what we do know. Valuit will help you achieve more from your property investment. As New Zealand’s most experienced property depreciation experts, we will help you to minimise your tax liabilities, in turn maximising the return you get for your investment, creating greater cashflow.